As the news of the passing away of Ustad Fateh Nazar, a prominent musician from Lyari, spread last week, an air of gloom permeated the city’s ancient town. 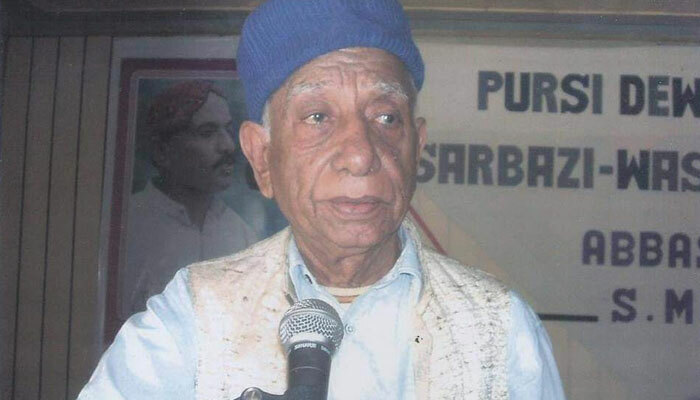 Nazar, also known as Lala Fateh Mohammad Niskandi, one of the remaining few classical singers and music directors that Lyari has produced, passed away because of heart attack on December 31. Born in December 1936 in Lyari’s Gul Muhammad Lane nieghbourhood, music and football were in his blood. His father Ustad Nazar Niskandi – who migrated from Iran’s Balochsitan (now Sistan and Balochistan) province to Lyari in 1923 after receiving his early understanding of classical music from Bombay (now Mumbai) – was also a known musician who excelled in classical musical compositions. Since his boyhood, Nazar was passionately fond of music and wanted to be a musician. He obtained his early education in Lyari and won awards in an inter-colleges music competition in 1954. “When my father realised that I am also interested in music, he asked one of his pupils – Khair Muhammad – to train me,” Nazar told The News in an interview in October. Abdul Sattar Baloch and Ustad Muhammad Omar were other two Baloch maestros from Lyari. 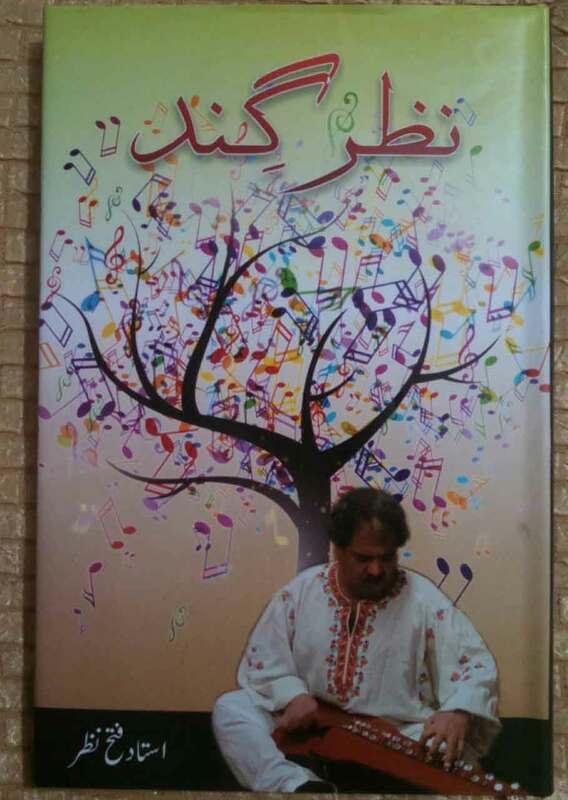 After the death of his father, Nazar started overseeing ‘Nazar Arts Circle’ in Gul Muhammad Lane, the cultural centre his father founded and, until his death, he had been educating the struggling singers about hitting the right notes in classical singing. In 1976, he was a music producer of the first-ever Balochi feature film titled ‘Hammal o Mahganj’ in Pakistan, produced by well-known TV actor Anwar Iqbal. Prominent academician and poet Syed Zahoor Shah Hashmi was the screenplay writer while Iqbal, Anita Gul, Nadir Shah Adil (now a journalist), Bobi, Mehmood Laasi, AR Baloch, Muhammad Sididque Baloch, Shakeel Laasi and Noor Muhammad Lashari had acted in the film. But Iqbal could not release it at that time because of strong opposition by Baloch ethnic parties and individuals. “Since the ban on screening the first-ever Balochi film, not a single Balochi production has managed to make it to the silver screen,” Nazar always regretted. During the 1970s and 1980s, he also produced music for several Urdu, Sindhi and Pashto movies and dramas and prominent movies among them were Ghato Ghar Na Aya (Sindhi), Moorak (Sindhi), Qurbani (Sindhi), Pyar Ka Sagar (Urdu), Mitti ke Mazar and Phool Aur Kantay, according to Wahid Baloch, a cultural activist of Lyari. He also produced music for two Baloch tele-films – Shedok-e-Hotel and Gorag Zindagai – in 1960s. He authored a Balochi book, Nazar Gind, discussing the learning of music while his friends are publishing his second unpublished book, Saaz-e-Zemal ay Mai Raaj, very soon. In an interview with The News, Nazar seemed happy with the revival of cultural and art activities in Lyari after peace started limping back to the oldest town. “It is a good omen that Baloch youth in the city, especially in Lyari, appeared to be attracted to literary activities,” Nazar had said. “I still want to play my role in the promotion of cultural activities in the area and keep classical singing alive,” he said. Mir Ashfaq Baloch, one of his close friends and a known political activist, said that in the last years of his life, Nazar was active in social and peace-building activities in Lyari. “He was eager to work for the revival of Lyari’s illustrious past and, for it, he was attending all sorts of activities, be they social, cultural or political,” he told The News. Nazar was buried in Lyari’s Mewa Shah Graveyard.